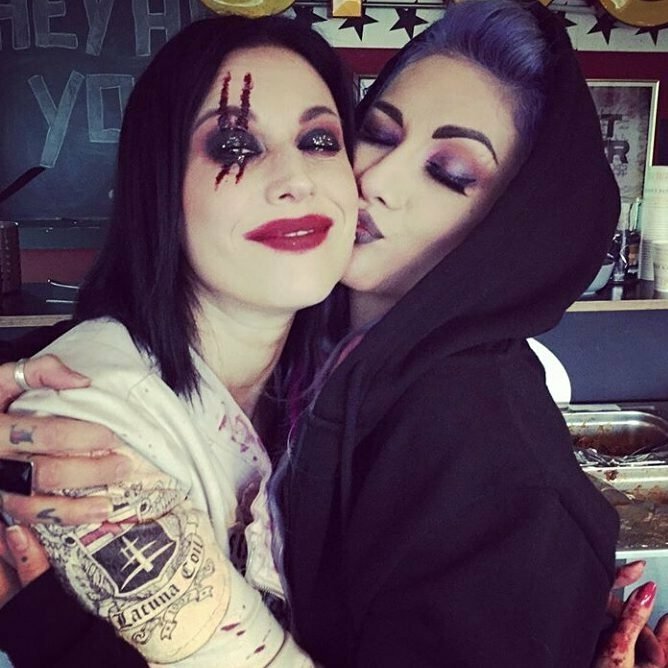 It looks like Lena Scissorhands really likes the photos of herself with metal legends. Let’s see some of these images just to let you know why you hear about Infected Rain a lot. 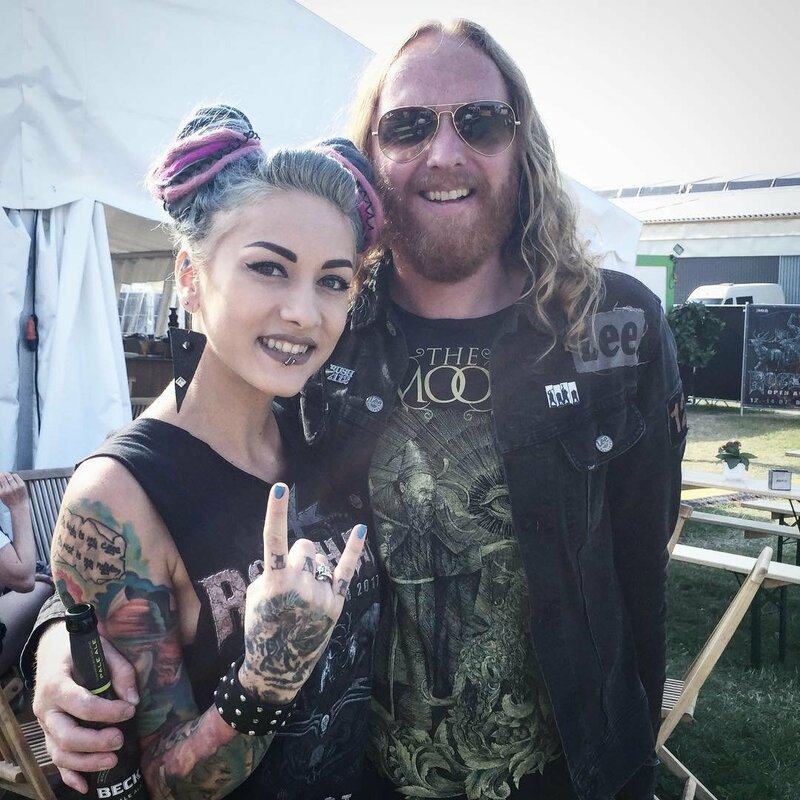 When the Princess of Eastern European Metal meets the King of Gothenburg Death Metal… Lena met Dark Tranquillity frontman at Rock Harz Open Air in July 2017. Aww. You gotta love them together. I remember when Infected Rain shared stage with Lacuna Coil for the first time. It was an unforgettable night. Well Lena get to know Cristina Scabbia in Budapest in May 7, 2017. That date is considered as a quite important day by us too. Believe or not, their gig was what actually made us create our Instagram account so you gotta love these ladies together too. Lena met Cristina and guess what. 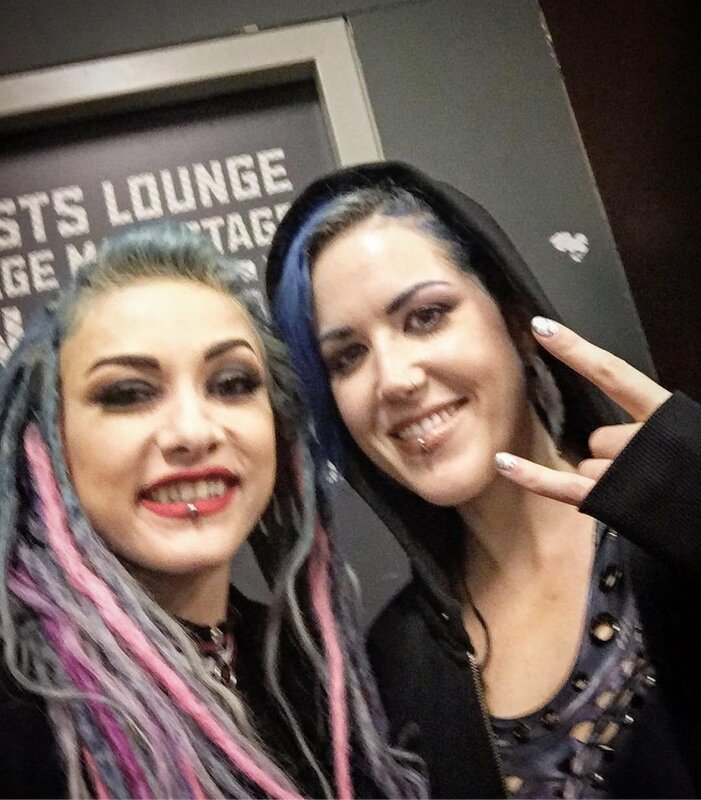 Lena met one of Miss Scabbia’s best friends too. Who am I talking about? Well I’m talking about the lovely Simone Simons of Epica. Can you imagine them together? Let me help you. Wow. This is so exciting. 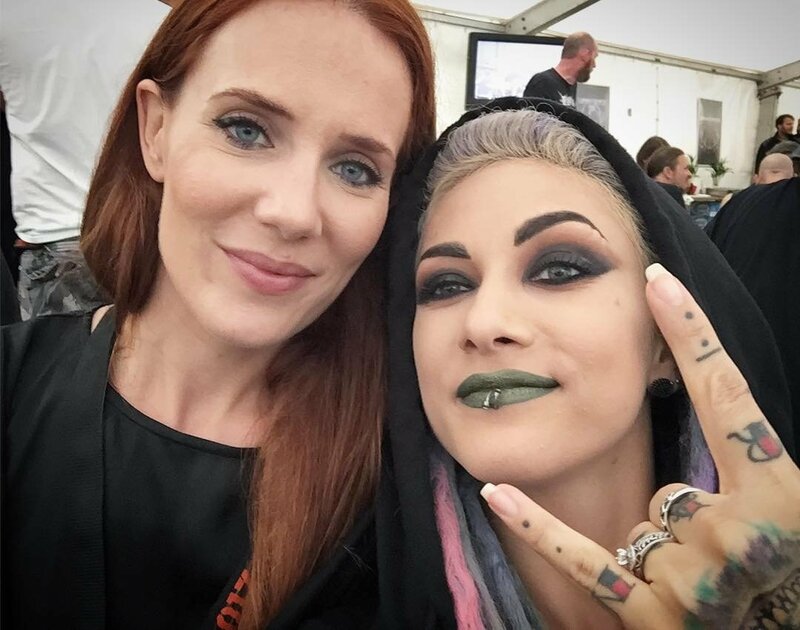 Lena Scissorhands and Alissa White-Gluz in the same picture??? It’s impossible. Believe me, it is. These amazingly beautiful ladies met at FemMe in 2016. Are you curious? Tadaaaa!